I have got questions on performance of OSB quite a few times already, during the years. A few years ago on a project I got eyes on a set of recommendations on workmanagers for OSB. Many developers know that for instance Service Call outs are blocking activities. And that you should use workmanagers to solve performance problems resulting from the use of those blocking activities. 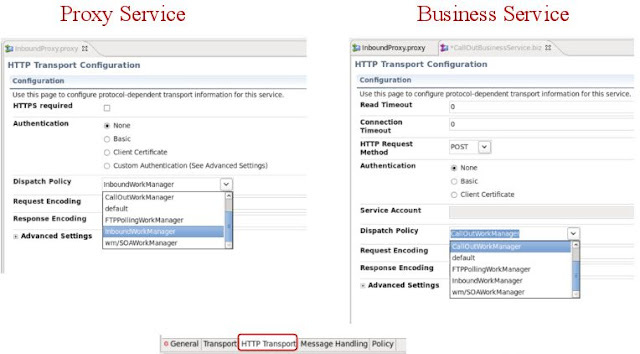 If you do nothing on dispatch policies in OSB proxy or business services, all is done in the Default Workmanager. But since some constructions, not only service call-outs, need other threads to finish the job, you can get stuck threads because the workmanager's threadpool gets empty having all or near to all threads waiting, leaving no threads to pickup work to free the others. More on this in the terrific blog of Anthony Reynolds on the subject: Following the thread. By the way, I've seen that some people by default use service call-outs for almost everything. But the default use should be the routing node with a route activity. Even in some services you need to gather information from several sources, while you can only have one route node, pick or choose a 'driving-service' to use in the Routing node. Just like creating a query on several tables where you have to choose a 'driving-table'. Then use service call outs only to do the extra enrichment. From that earlier project I got the following recommendations, based on the blog of Anthony Reynolds. Since I refer back to it regularly, I think it would be good to share it. For OSB to work optimally and prevent floading WebLogic’s threadpool with hogged/stuck threads you should create 3 FairShareRequest classes in ratio of 33/33/33, to distinguish different “kinds of threadpools”. 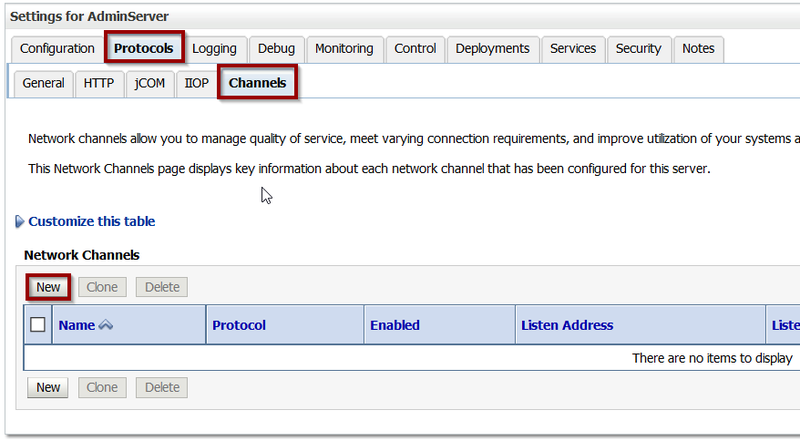 FTPPollingWorkManager: file based inbound OSB proxy services. Polling a filesystem (or FTP). Uses FairShareReqClass-1, and ignores stuck threads. 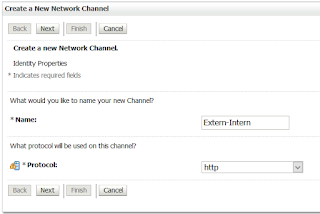 InboudWorkManager: inbound OSB proxy services, not polling file based. Also uses FairShareReqClass-1, not ignoring stuck threads. CallOutWorkManager: Service Call Out operations in a OSB proxy. Uses FairShareReqClass-2. DeliveryWorkManager: outbound business services in OSB. Uses FairShareReqClass-3. I don't have screendumps of 12c at hand. But the idea would be the same there. I haven't learned that the thread model in 12c is architecturally different. Let's say you have a virtual machine with two network adapters, both set on 'HostOnly'. I used to do that and set the first one of those to a fixed IP address, say 10.0.0.1. 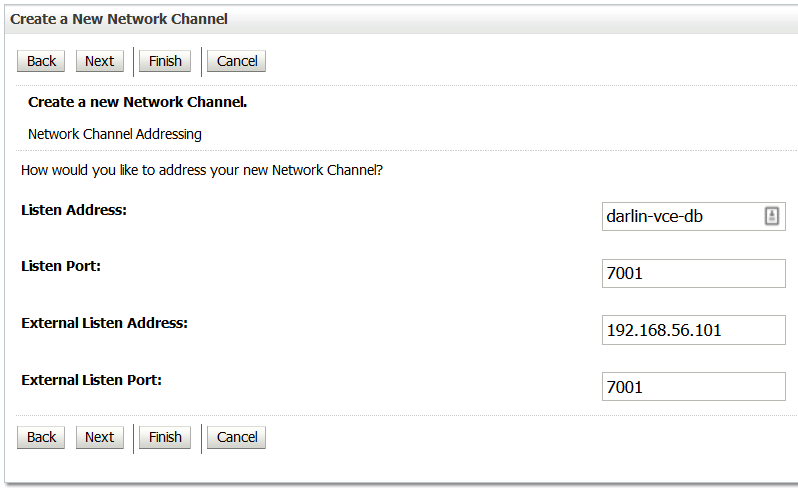 To this one I coupled the hostname, for instance darlin-vce-db, using the /etc/hosts file. That way I had a fixed, always existing network address for the database. Together with the database, you install WebLogic, for instance to serve SOASuite, or OSB, or whatever custom application you want to serve. Now, wouldn't it be nice to be able to use WebLogic from a browser out of the virtual machine? Of course, because this is what you do nowadays: almost everywhere I come, servers are hosted on virtualized computing environments, like VMWare VSE or Oracle VM. So that's where the second adapter comes in, dynamically coupled to an address in the form of 192.168.56.101, for instance. Externally, using the etc/host file on your host OS (in my case Windows), you couple that address also to darlin-vce-db. Nothing special, right? 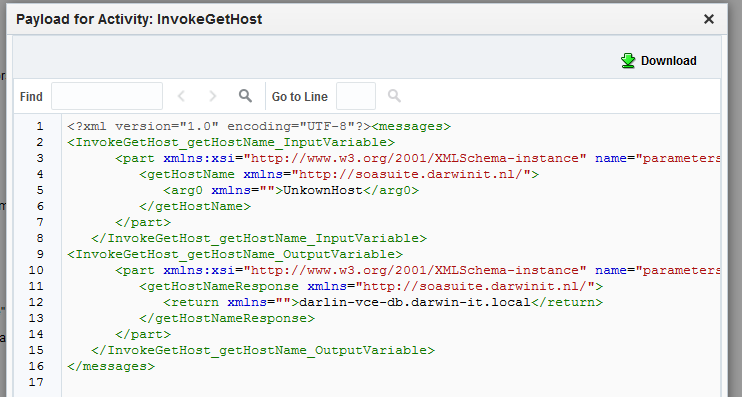 Well, WebLogic 11g, apparently just listens to the hostname 'darlin-vce-db', if that is entered as a listen-address. It seems not to care if the request for 'darlin-vce-db' comes from 192.168.56.101 in stead of the 10.0.0.1 to where the hostname actually is bound. However, in this particular case WebLogic 12c seems to behave differently. If you provice 'darlin-vce-db' as listen address, that is bound to a network adapter that has 10.0.0.1 it expects that requests also come in via that network adapter. It seems to ignore requests that come in via other adapters (in my case 192.168.56.101). 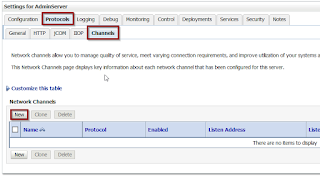 You can solve this partially using Channels: in the Weblogic Console, navigate to the particular managed server, click Protocols, Channels. Leave the ports to the default listen-port, in this case. Then finish the wizard. 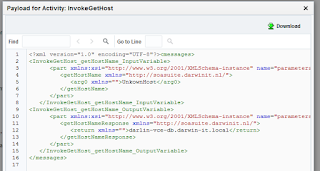 Although this helps in connecting to the WebLogic console, EM, or with the same method on the SOA Server, to the SOA Composer (soaserver:port/soa/composer), BPM Workspace (soaserver:port/bpm/composer) etc., this will not work for JDeveloper. 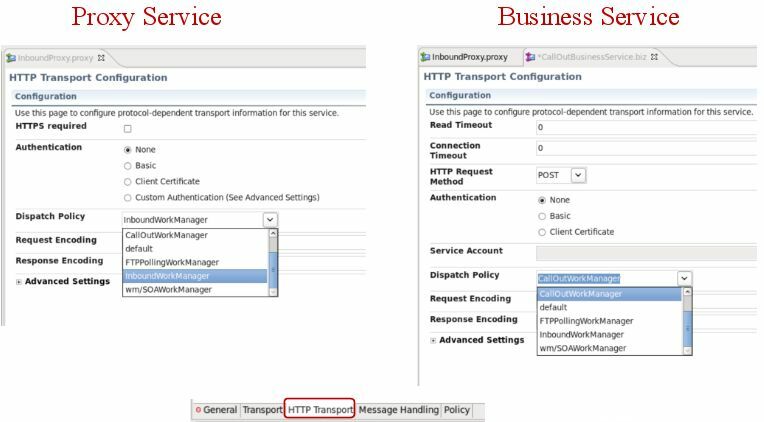 When trying to deploy a soa composite from JDeveloper, you define/choose a ApplicationServer with connection to the AdminServer. But in case of deploying a composite, the AdminServer figures out which running SOA Servers there are, and let JDeveloper provide the composite to those servers. But then the soaserver(s) refuse(s) the connections from JDeveloper. Testing the ApplicationServer connection will show success for the Http connection to the AdminServer, but fails for all the other components. 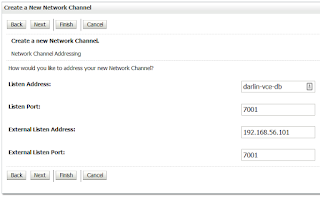 The solution is then to denote a particular Network Adapter/ip address and make sure that internally and externally the particular hostname is coupled to that same particular ip-address. At my current customer I have SQLDeveloper open the whole day, and regularly I come back to it to query my throttle-table to see if my requests have been picked up. But regularly my database connection have been broken because of being idle. Probably because of a nasty firewall between my remote development desktop and the database. Googling on it I found an article of That Jeff Smith on busy connections. That blog is really one to follow. Feed it to your Feedly if your a recent SQL Developer user. Click on it and enter a check frequency, of at least 60 seconds. I try 180 seconds. You can disable it by clicking it again. Another click and it asks for a new interval again. Of course it's easy to extent the table with properties from the monitor script in WebLogic DataSource Monitoring Using WLST. # Test DataSources  using wlst. For the fmw12c_env.sh and fmw.properties files look here.